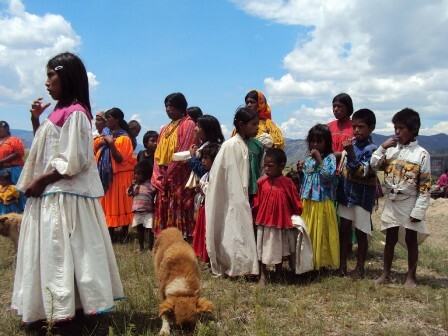 Mexico’s Supreme Court has ruled that a Tarahumara (Raramuri) community in the state of Chihuahua has the Constitution right to participate in the decision-making of any project that would affect them. The little-noticed decision could have far-reaching effects across the country. In a little-noticed decision with possible national repercussions, Mexico’s high court has come out in favor of an indigenous community in the state of Chihuahua. In a ruling publicized this month, Mexican Supreme Court justices determined that the community of Huitosachi has a right to participate in the decision-making of the Copper Canyon Trust Fund, an organization spearheading tourism development in Chihuahua’s Sierra Tarahumara region. Huitosachi’s leaders earlier went to court to protect their lands from development in a zone adjoining the small indigenous community. Two federal judges initially ruled against Huitosachi before the Mexican Supreme Court agreed to hear the case in 2011. The Supreme Court justices declared that the Mexican Constitution guarantees the participation of indigenous communities in the type of projects that would affect Huitosachi. The high court’s members also stated that relevant national law is similar to the International Labor Organization’s Convention No. 169, which protects the rights of indigenous communities and tribal peoples. Mexico is among 22 nations that have ratified the international agreement. The United States is not one of them. Situated in the municipality of Urique, Huitosachi is part of a large zone that state and federal officials, in conjunction with Mexican and international investors, are gradually developing as one of Mexico’s next big tourist attractions. The so-called Copper Canyon-Sea of Cortez Tourist Circuit has proceeded in fits and starts, variously impacted by changing political administrations, outbreaks of narco-violence, declines in foreign tourism, fluxes in investment and periodic protests by indigenous Raramuri communities that claim exclusion or injury from the project. Nonetheless, important parts of a tourism development strategy mapped out back in the 1990s move forward. This week, for example, Chihuahua Governor Cesar Duarte inaugurated a new highway aimed at inter-connecting mountain towns and increasing visitation to the Baseseachi Falls. Likewise, the Chihuahua state tourism department is promoting the 2012 International Adventure Tourism Festival, an event which is expected to include marathon races and bicycling in the Sierra Tarahumara as part of the roster of activities. Sources: Nortedigitial.mx, March 28, 2012. El Seminario de Nuevo Mexico, March 22 and 29, 2012. Elpueblo.com (Chihuahua), March 15, 2012. Diariojuridico.com.mx, March 14, 2012.